It’s official. The start of the “Reiwa” era in Japan will begin on May 1, 2019, and Japanese people everywhere are celebrating. 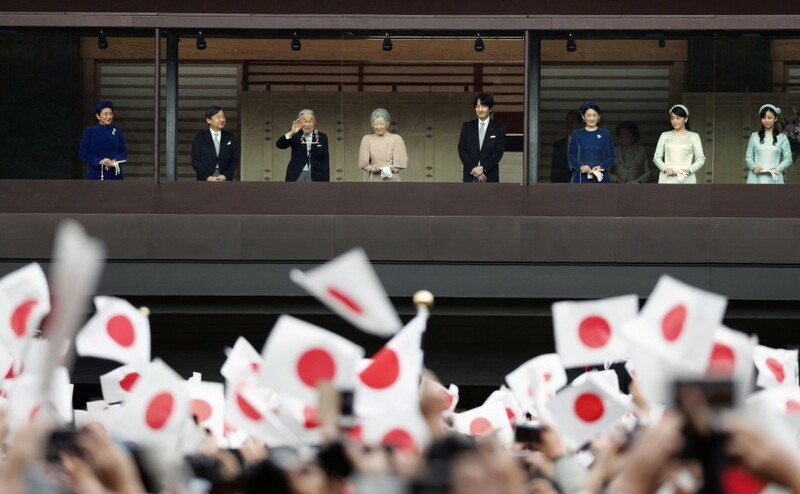 For those not up-to-date on Japanese Imperial Law, the current Emperor–Emperor Akihito, will abdicate his crown on April 30, 2019. This is the first time in 200 years that an Emperor has chosen to step down! But Emperor Akihito is getting older, was having health issues, and would like to make sure that someone younger can lead the country forward. And so, Prince Naruhito, the eldest son of Emperor Akihito, will become the new Emperor on May 1, 2019. And with his new role, comes the start of a new “era”, as each new Emperor gets an “era” named for the rest of his reign. The first “era” named in Japan was “Taika”, back in 645, and Emperor Akihito’s era was the “Heisei”, which means “achieving peace”. The “Heisei” era ran from January 8, 1989, and will continue until April 30, 2019. And now, the “Reiwa” era is the 248th era name. But why the big deal? Well, beyond the historical importance I mentioned above, the new “era” name has some everyday practical importance to Japanese people. The new name will be seen everywhere in Japan, on calendars, newspapers, official documents and certificates, as well as drivers’ licenses! Of course, nothing is beyond the limits of a little bit of controversy and fun, not even the new “Reiwa” era, as Japanese Netizens quickly showed. You see, in Japan most people shorten the “era” name as an easy way to designate which year we are in. For example, the year 2019 is actually the “Heisei 31”, or the 31st year of the “Heisei” era. So Japanese people call it “H31”. This means that 2019 will also be known as “Reiwa 1”, or the 1st year in the “Reiwa” era. So Japanese people will shorten that to “R1”. AND, this mean that the year 2036 will be “Reiwa 18”. Japanese will shorten this to “R18”! But “R18” is actually the Japanese version of “Rated R” in America. You will see this on “adult” movies, magazines, websites, etc., so that people know that it shouldn’t be seen by kids. So of course, Japanese netizens can’t wait until the year R18 gets here, because it is supposed to be a very “Rated R” kind of year, haha! But all joking aside, this is a very important time for Japan and its people, so make sure to congratulate folks on the new era! For now, let’s enjoy the rest of the “Heisei” era and wish Emperor Akihito good luck and good health! April 1, 2019 in News Sauce. ← Bowser Is The New President Of Nintendo America!